So I didn’t manage to completely finish two sweaters this week, which was my very relaxed “goal” from last week, but I did make a lot of progress. 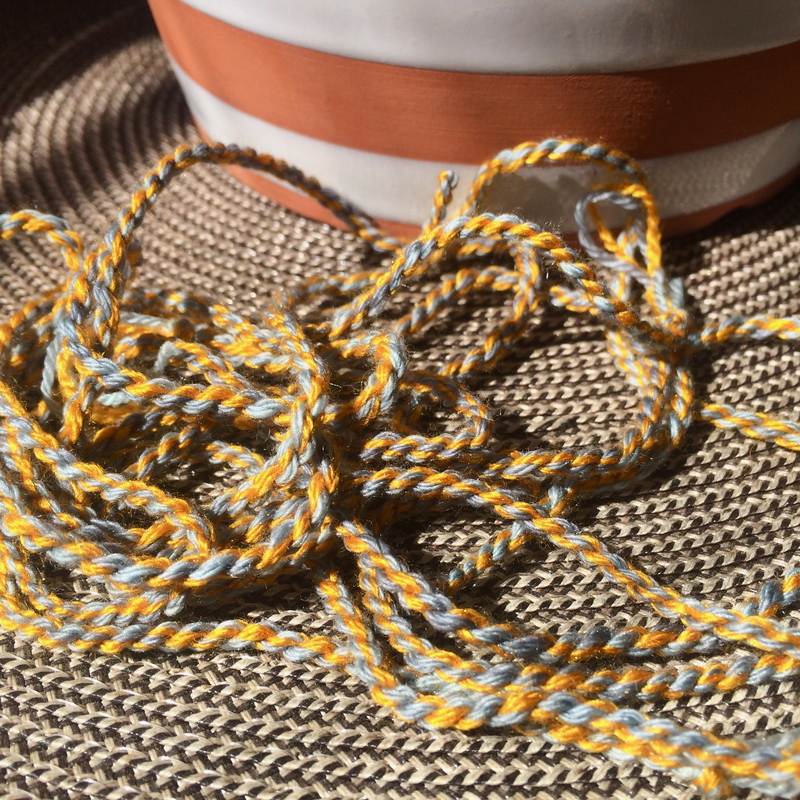 If you follow my on instagram, you saw the massive pile of ends that I had to weave in on my Versio sweater, as well as my experiments with different colors of cording for the hems. 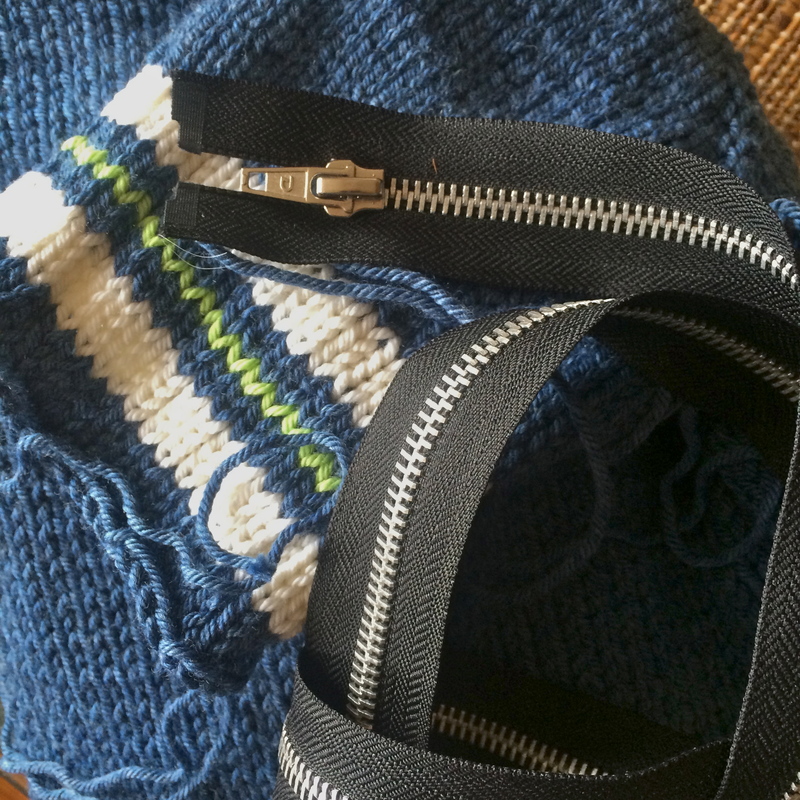 I ended up going with yellow and blue cording, now the sweater just needs to be washed, blocked, photographed, and worn. Yay! My (hopefully perfect) transitional sweater has sleeves (!) and I have the zipper. So now it’s just another pile of ends to weave in, before I can wash it, block it, insert the zipper and wear it!!! 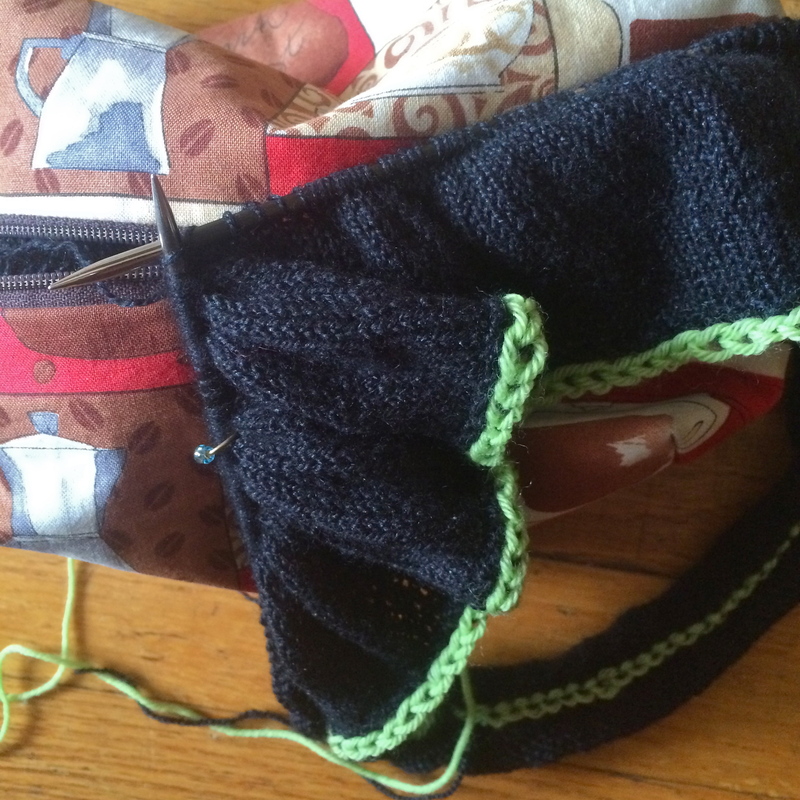 I also started super basic black pullover out of a lace weight. 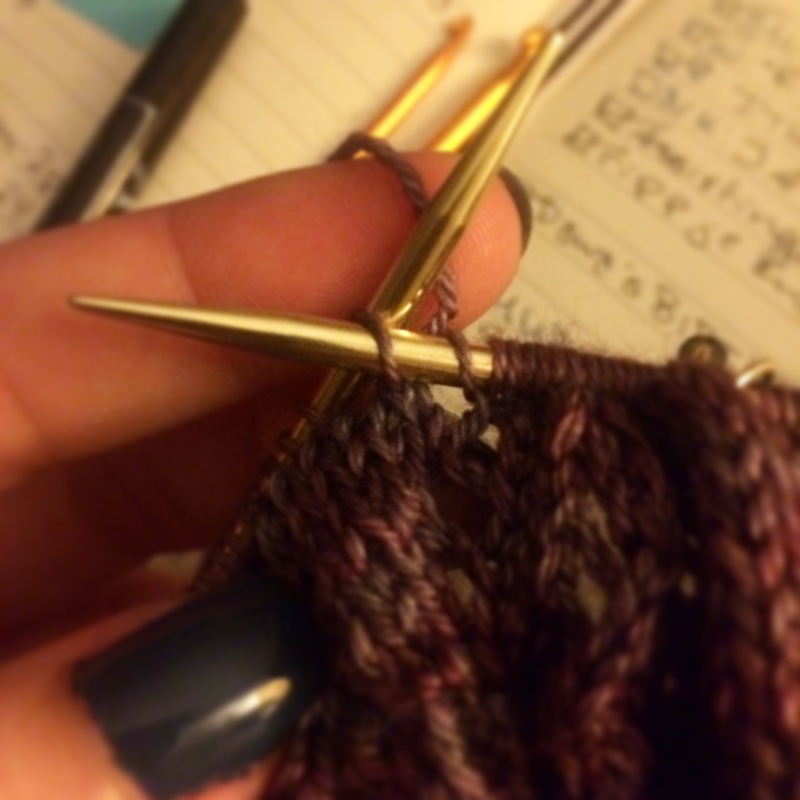 It’s a nightmare to knit, but I know that I’ll get an amazing amount of wear out of it. So for now, I’m just trusting the process. My shawl is about a repeat and a half away from being done! 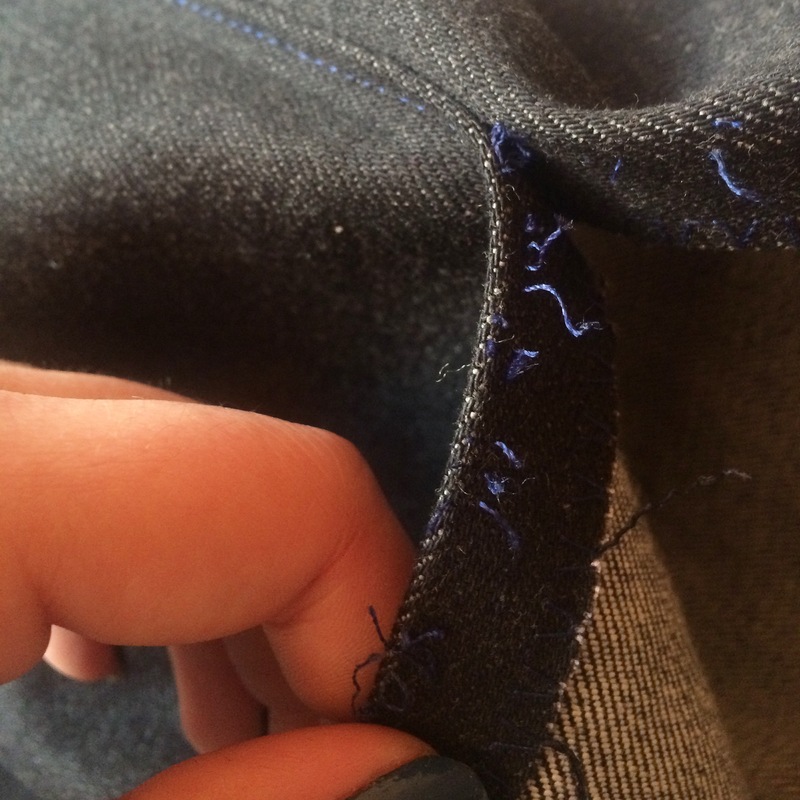 And I ripped out some of the seams of my experimental jeans so that I could futz with the fit of the pattern. Sad face. I’m enjoying following your efforts. Thought I’d write a comment. My mom taught me to sew decades ago. It’s not something I do because it’s so hard to make things fit. My creative work moved into writing and photography which works for me. But I like watching you make progress. I’ve done a lot of crocheting and a little bit of knitting. Knitters also amaze me. I love sweaters. Keep going. Just wanted to let you know that someone is out there reading you. Thank you so much Bobbi! For following along, and also for leaving a comment. It’s great to know that someone (besides me) is enjoying this project.